Then Learn, Have Fun and Grow! Have a Bill to Pay? Payment dates can be found in our academic and payment calendar. Please note, no invoices will be sent. If your payment is late, please add the late fee to your total. Information regarding payments and refunds can be found in the hyperlinks. 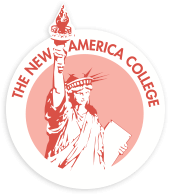 For additional questions regarding your bill, please contact Tjitra Armendariz at tel:303-894-3169 and tarmendariz@newamericacollege.edu.